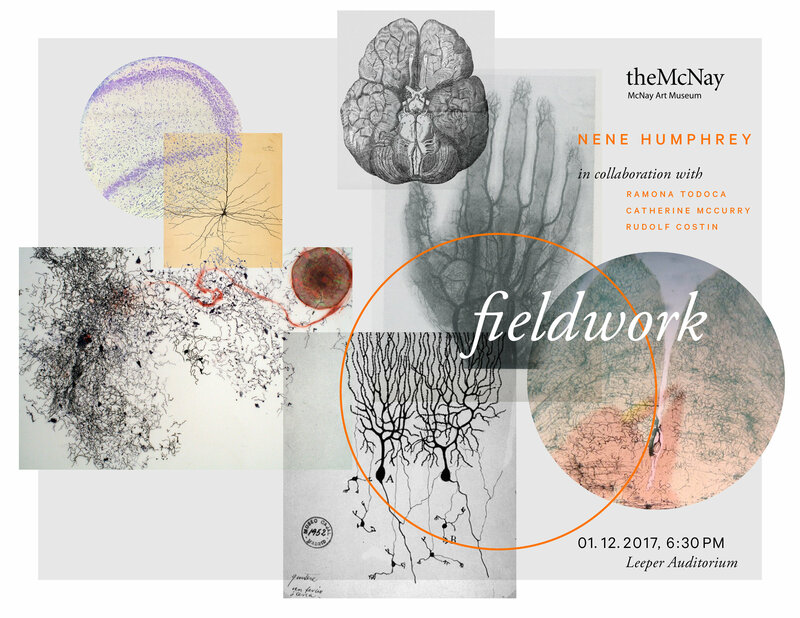 Fieldwork is a multimedia performance created in collaboration with artist Nene Humphrey, who is a longtime artist in residence at the LeDoux neuroscience lab at NYU. 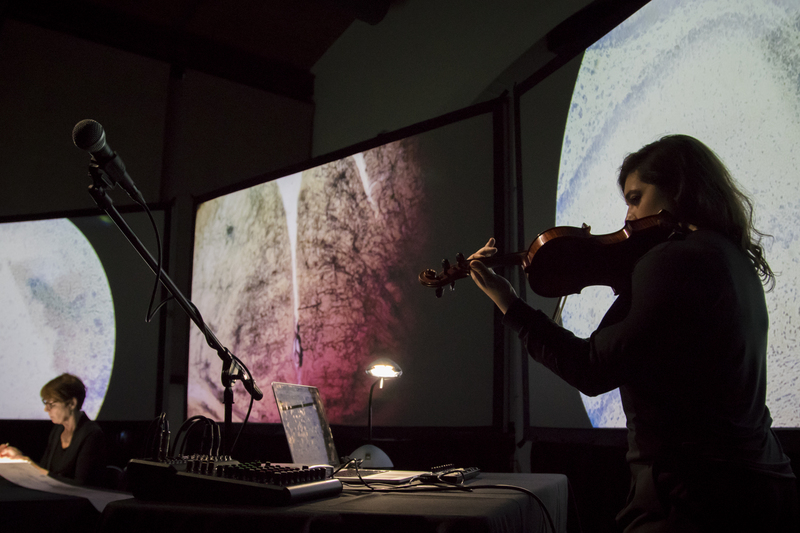 It began as a way of presenting her work in a non-traditional artist talk, and evolved into an exploration of the process of art-making, remembering, and processing emotion. 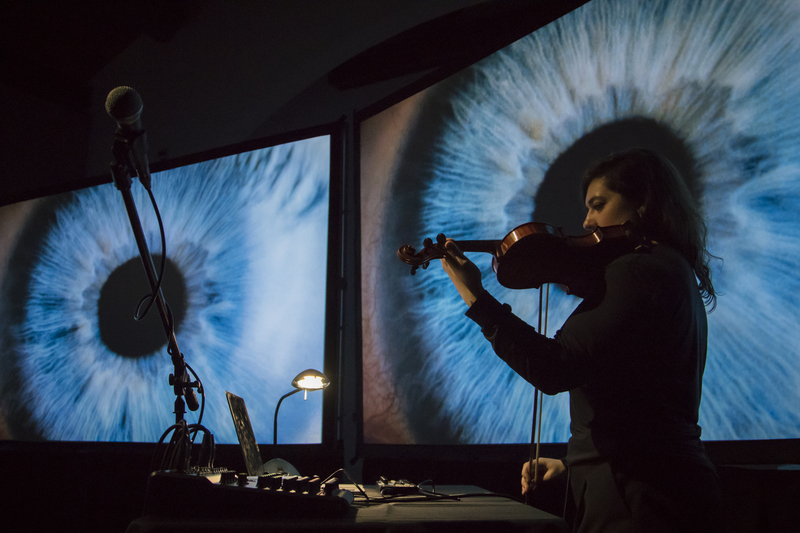 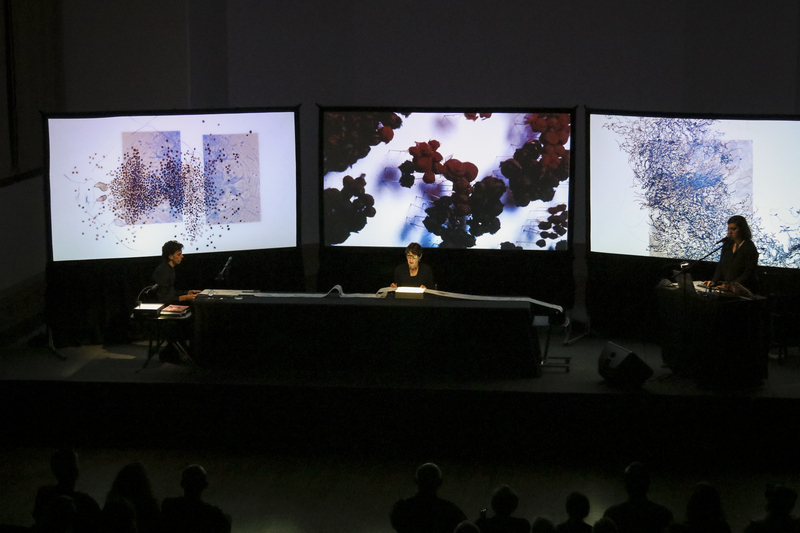 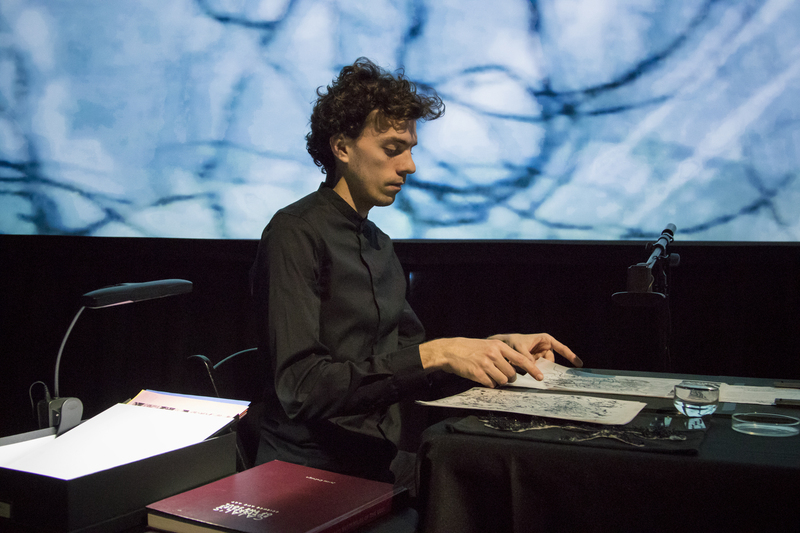 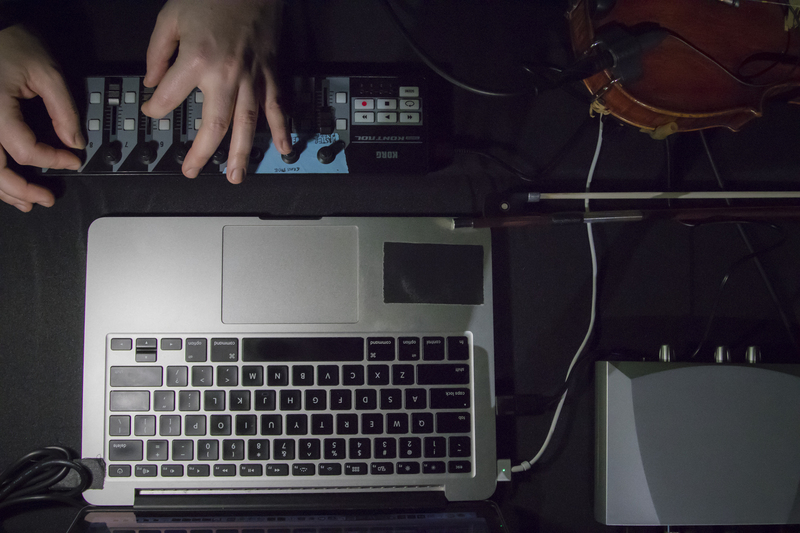 I worked with Nene and director Ramona Todoca to write and structure the performance, designed and programmed the sound and projections, and also performed as a violinist and vocalist with live electronics. 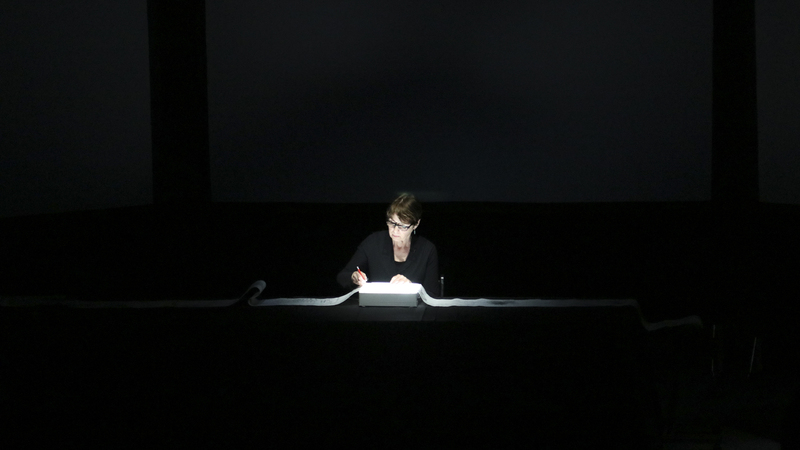 Fieldwork is a performance about making art and art in the making. 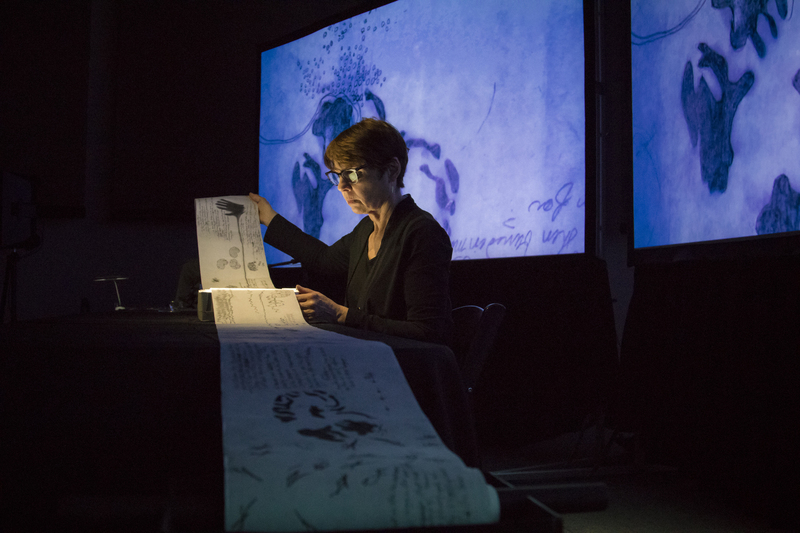 An artist, an animator, and a musician engage in an improvisational dialogue with projections, poems, and music. 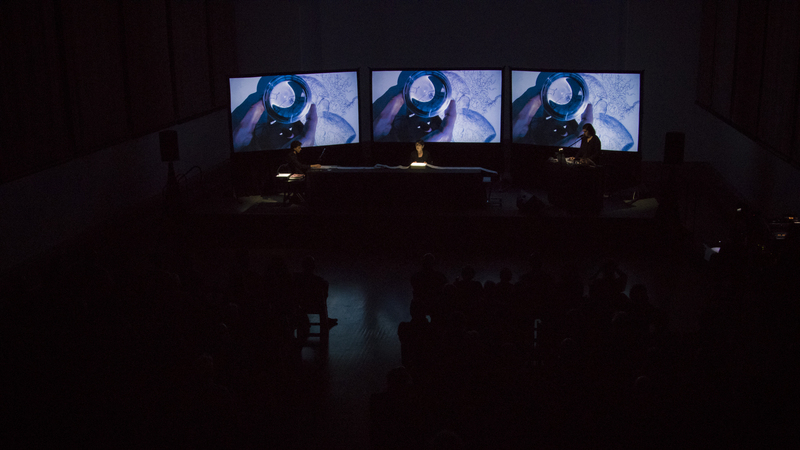 Conceived as a way of sharing the process of art-making and its conceptual underpinnings, Fieldwork makes unexpected connections between art, science, and storytelling-much like the brain weaves disparate thoughts and experiences together.